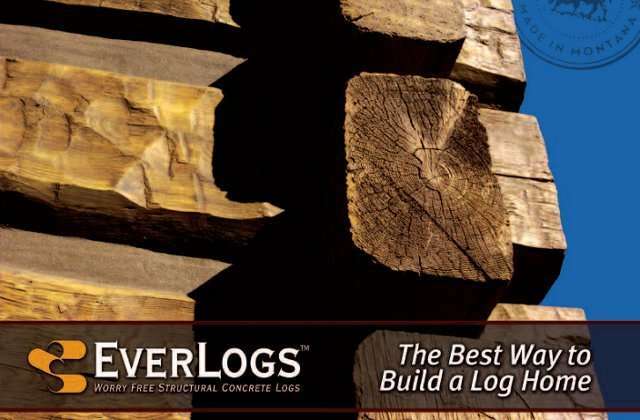 Learn more about our full line of EverLogs (concrete log) products.  View our brochure. 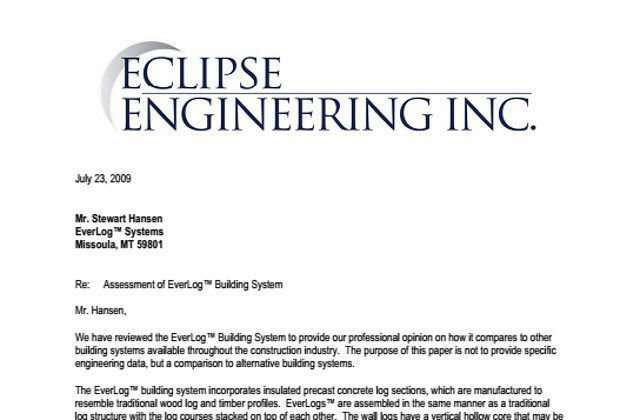 Eclipse Structural Engineering Firms Discuss the Benefits of Using EverLogs. 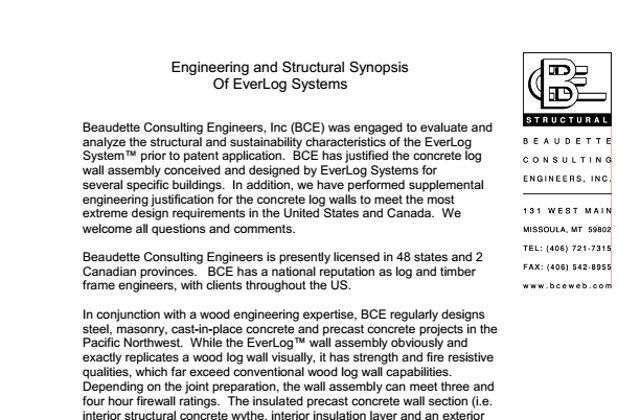 Nationally Recognized Beaudette Consulting Engineers Discusses why They Recommend our Concrete Logs. 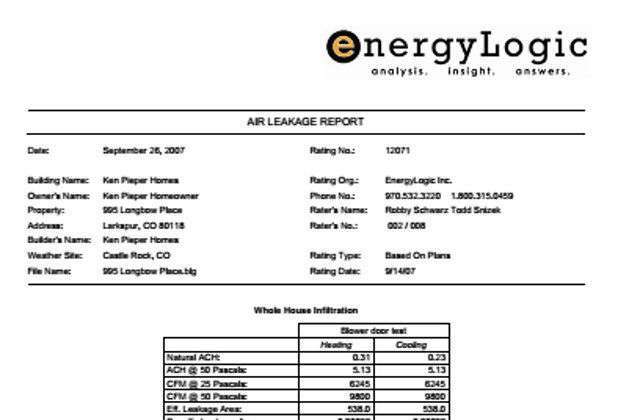 How Energy Efficient and Air Tight are EverLog Homes? In a word “Extremely”. 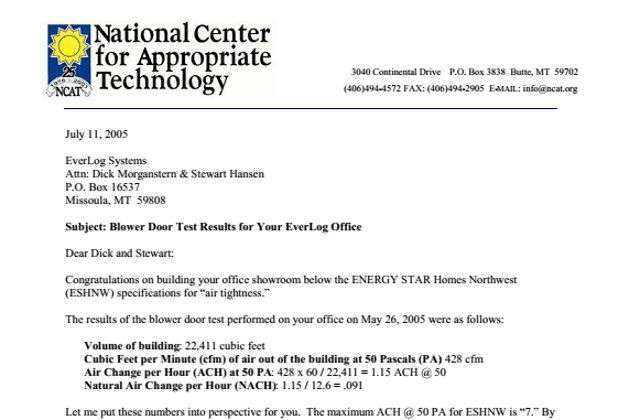 Read the results of our Blower Door Test from NCAP. What is Included in an ELS Log Package? 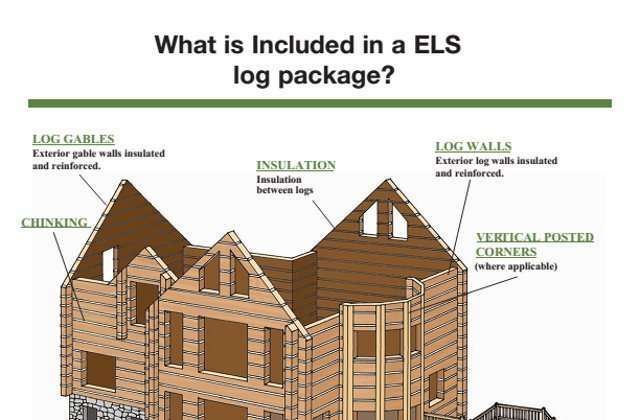 Here is an diagram of What is Included in an ELS Package. 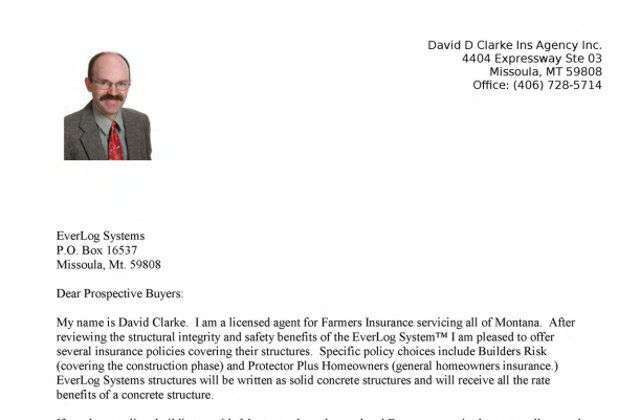 Learn Why Insurance Companies Prefer EverLogs concrete logs. 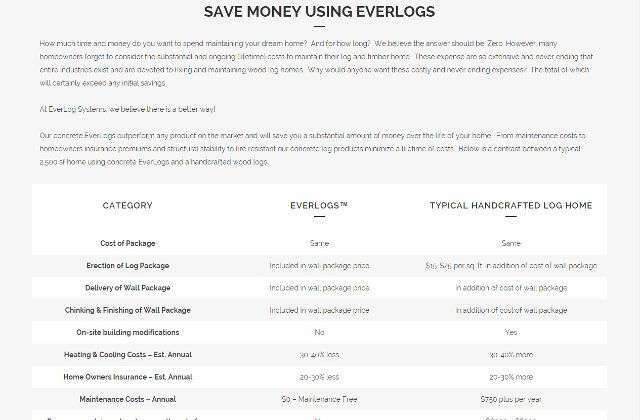 Listen to EverLog System President, Stewart Hansen, discuss the benefits of EverLogs™ on Seattle, WA News Station KOMO.